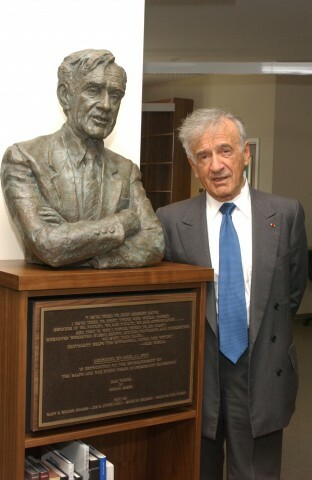 Elie Wiesel with his bust in Chapman’s Samueli Holocaust Memorial Library, during his visit in 2005. In those visits to Chapman, Wiesel focused his time on students, meeting with small groups of undergraduates and giving campus talks in Memorial Hall and Fish Interfaith Center. His fight for human rights sprung from the horrors of the Holocaust he witnessed as teenager imprisoned in the Nazi concentration camps at Auschwitz and Buchenwald. Too many people remained silent then, he said, and he always reminded students to be wary of blind passivity in their own time. “Nobody knows everything. The thing is: Do we have the questions? I love questions because they contain the word ‘quest.’ Beware of answers. 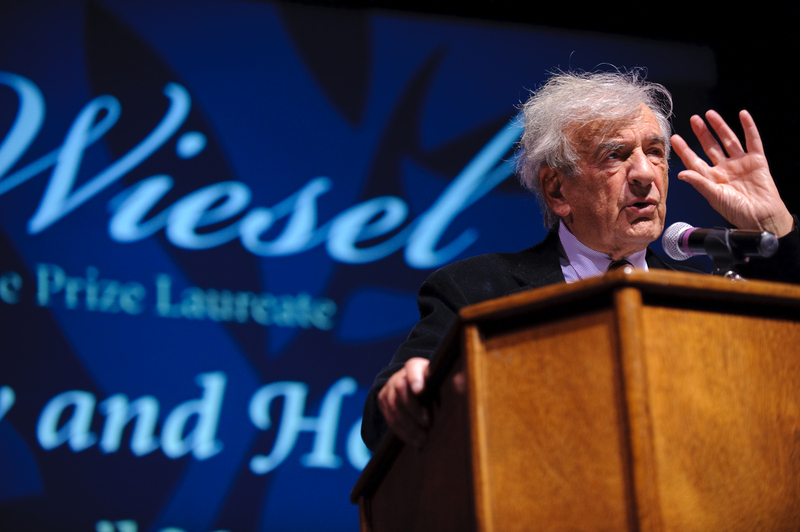 Remain with the quest,” Wiesel told an audience of nearly 300 students, faculty and guests during a 2012 visit. 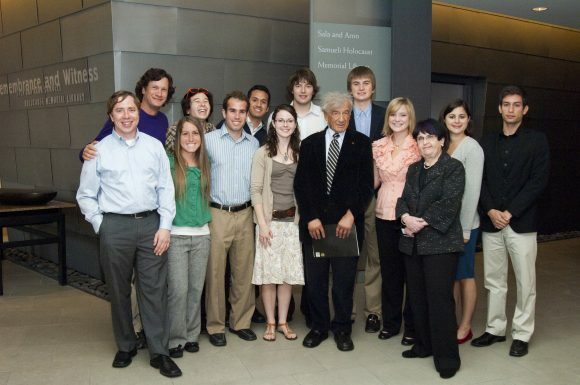 Elie Wiesel, center, with Marilyn Harran, Ph.D., director of the Rodgers Center for Holocaust Education, and Chapman history students during Wiesel’s 2010 visit. Wiesel first visited Chapman University in April 2005, at the invitation of Dr. Harran, Stern Chair in Holocaust Education at Chapman. The visit fell on the 60th anniversary of Wiesel’s liberation from the Buchenwald concentration camp. 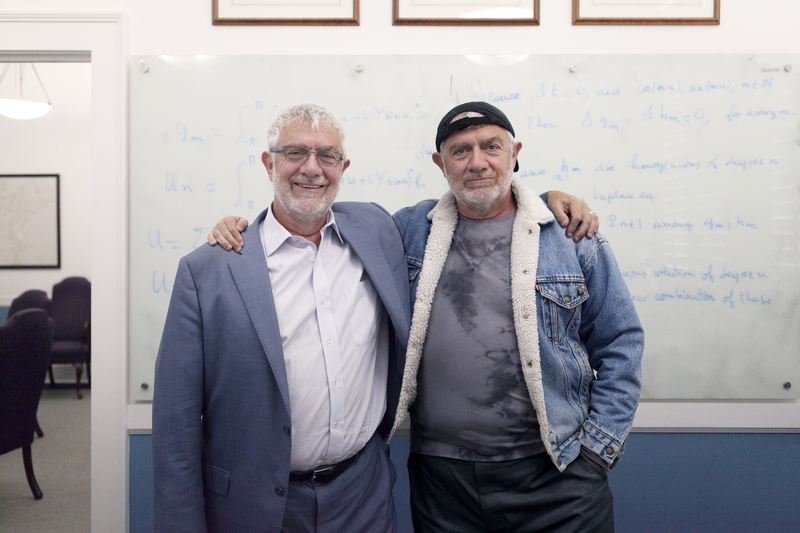 During that visit, he participated in dedication ceremonies for the University’s Sala and Aron Samueli Holocaust Memorial Library and received an honorary doctorate in humane letters. His second visit came in April 2010, when he spoke to the university community and was guest of honor at a gala marking the 10th anniversary of the Rodgers Center for Holocaust Education and the Stern Chair in Holocaust Education. 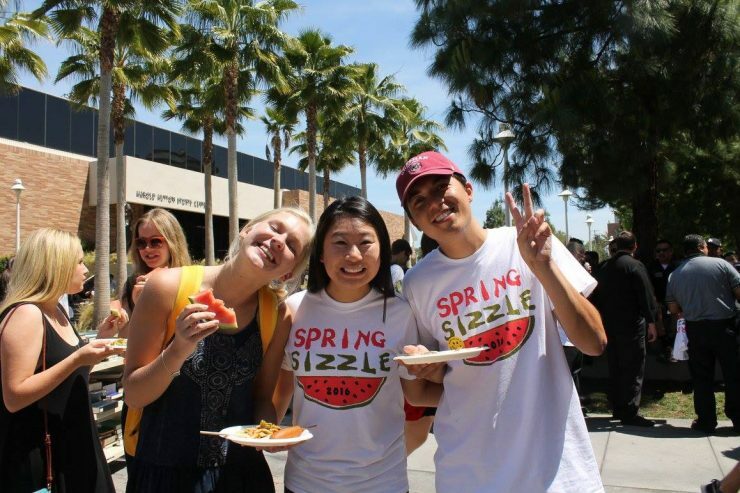 That same year he accepted a five-year appointment as a Distinguished Presidential Fellow at Chapman. In that role, Wiesel visited Chapman annually to meet with students and offer his perspective on subjects ranging from Holocaust history to religion, languages, literature, law and music.